The five stand-in stacker truck models in the BT Staxio S-series are durable and safe. These stacker trucks protect the operator with an overhead truck guard, which allows operation in highly intensive stacking applications up to 6.3 metres, whilst the feature of elevating support arms makes double load handling possible. In-vehicle operation is possible with the SSE160D narrow truck chassis without overhead guard. 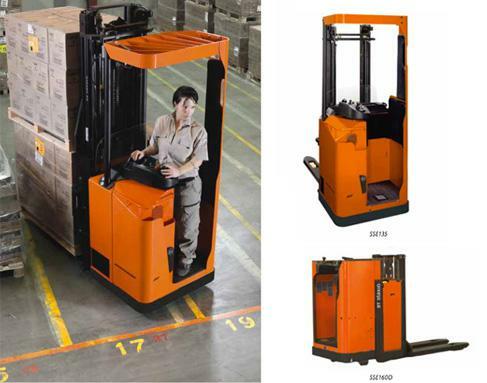 The BT Staxio S-series is extremely versatile, making these stand-in stacker trucks suitable for all types of material handling, with a load capacity of up to 1.6 tonnes. Designed with productivity in mind, the truck drivers stand transversely, allowing them to drive in both fork and cab directions without changing position. 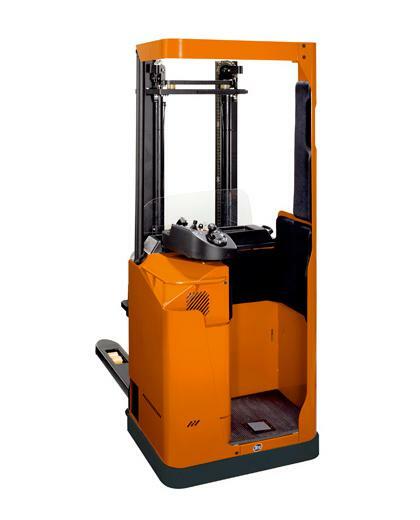 The overhead truck guard and enhanced visibility offer safer forklift operation, whilst the elevating support arms make driving over uneven floors and slopes much safer and allow double pallet handling.